Baroness Tanni Grey-Thompson is Britain’s best-known Paralympic athlete. Tanni performed at world-class level for over 15 years, in distances ranging from 100m to the marathon. The year 2000 culminated in Tanni being decorated with the OBE in the Millennium New Years Honours List in honour of her services to sport. In addition, Tanni was made a ‘Dame’ in 2005, and was later elevated to the House of Lords in 2010 with a focus on sport, disability, health, welfare and youth development. Since retiring from the track, Dame Tanni has gone on to play a prominent role in public life, acting as a Non-Executive Director of the BBC, Chair of ukactive, Chancellor of Northumbria University and President of the National Council of Voluntary Organisations. In view of this, Tanni is the ultimate cross over between high performance sport and the high powered world of business and politics. She understands the parallels and has invaluable lessons from her varied career, be it perseverance, team work, adapting to change or breaking down barriers. An exceptional communicator, she is brilliant at motivating, inspiring and entertaining an audience. Which Day? Every Day! Dame Tanni’s story lets us appreciate the level of dedication required to achieve at the very highest level. You will also understand why champions don’t win on race day – they win because of the unrelenting drive for success that pushes them on each and every day. Discover the attitude you must develop to achieve success and why it will only work if you Seize the Day. Tanni is articulate and well informed; she is an exceptional conference and motivational speaker and can tailor presentations to the individual needs of clients. 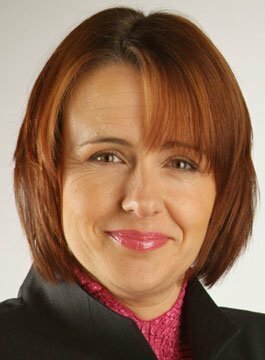 Furthermore Tanni can interact with a wide range of people, from pupils to seasoned corporate executives.